It’s not all just fire and brimstone. One of the trailblazing purveyors of what we’ve come to know and accept as black/thrash metal, Aura Noir has had a storied career. The band has been active, in one form or another, for twenty-five years now, forming in 1993. The band’s lineup has remained largely unchanged over the years, as well, with Apollyon taking over drums after Aggressor’s 2005 injury (though Dirge Rep was in for a short time). That being said, the core duo of Aggressor (bass, vocals) and Apollyon (drums), have been at it since the band’s formation, and longtime guitarist Blasphemer has been with the band ever since their seminal 1996 debut full length Black Thrash Attack. 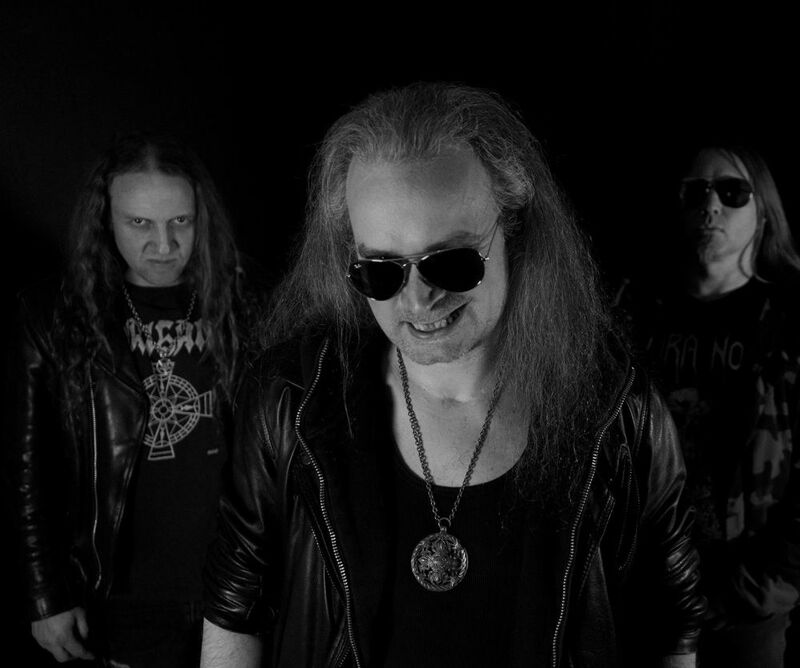 Honestly, this trio represents some of the most established and well respected bands from the Norwegian scene, with members having been involved with Mayhem, Immortal, Dødheimsgard, Satyricon, and Ulver, among a veritable host of others. Six years after the 2012 ripper, Out to Die, Aura Noir returns with Aura Noire, a nine track, thirty-two minute offering that is a lesson for all modern bands attempting to play black/thrash metal. While the album doesn’t boast the speed or blackness of their debut, or even The Merciless for that matter, it’s still scorching offering, even if a lot of it is rooted in more of the realms of the mid tempo. “Dark Lung of the Storm” sets things off quite nicely, with it’s mid tempo crunch and just a dash of that classic, frantic Aura Noir hammer on/pull of licks that trail a few riffs. The album kicks off to a bit of a slow start, to be honest, as “Grave Dweller” sounds more like that Darkthrone meets Sarke type of mid paced stomping than the nonstop ramming speed of the band’s early works. Things ultimately wax and wane between the speed metal tinged, blackened thrashing of “Mordant Wind”, with its fist pumping, galloping closing and the aforementioned mid tempo plodding. While Aura Noire isn’t quite as fast as its predecessors, everything we’ve come to love from the band is on full display: from the treble-laden and rangy guitar tone to Aggressor’s aggressive, throat-torn snarl. The production remains rather abrasive, though the mix allows the riffs to shine quite nicely without drowning out the rhythm section. I find the album sound much stronger and more full than previous offerings, yet it still keeps those sinister, old school vibes. Aura Noire is probably not going to be anyone’s favorite Aura Noir album, but it does enough to sate that hunger after waiting for a new album for six years. Sure, it’s a little slower and more towards the middle of road, tempo-wise, for most of the album, but that just means tracks like the fiery “The Obscuration” sound even angrier and more lethal (which also leave me longing for more of that old fire). 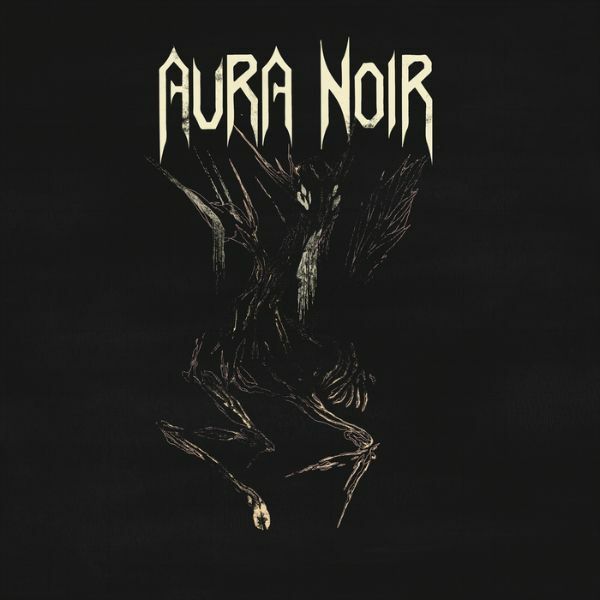 Even with this being a run of the mill, workmanlike offering from Aura Noir, it still sounds better than most of the schlock sticking to bottom of the porcelain in the black/thrash scene of late. Aura Noire is a dark and pummeling offering that scene fans should find as soon as possible, but just don’t expect Black Thrash Attack II. This entry was posted in Black Metal, Featured Review, Reviews, Thrash Metal and tagged Aura Noir, Aura Noire, Ava Inferi, black metal, black thrash, Cadaver, Cadaver Inc., Carpathian Forest, Dødheimsgard, Earth Electric, featured, Gorgoroth, I Left the Planet, immortal, In Silence, Indie Recordings, inferno, Inflabitan, Lamented Souls, mayhem, Mezzerschmit, Nader Sadek, Nattefrost, norway, Satyricon, Testimony, Thrash Metal, twilight of the gods, ulver, Ved Buens Ende, Virus, Void, Waklevoren.